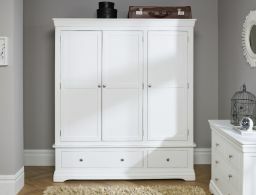 Shopping for bedroom furniture can sometimes be a mundane task with a vast amount of choice. 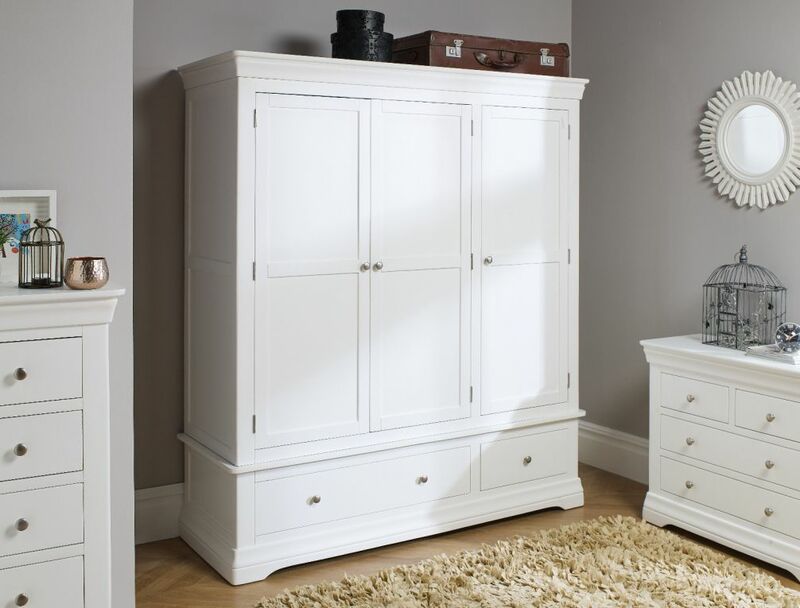 Look no further…we’re here to make it easier for you with the Toulouse White Painted Triple Wardrobe. There are a number of reasons why we are confident this white painted wardrobe will tick all the boxes. 2. 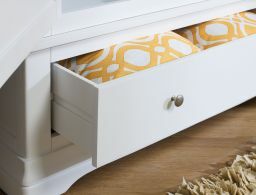 Has two spacious drawers with the larger been 93cm wide, 42.5cm deep & 15.5cm tall & the smaller one been 44cm wide, 42.5cm deep and 15.5cm tall. 5. 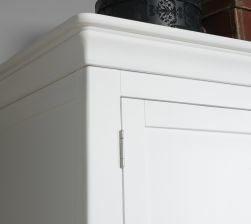 We use the strongest of all joints, the dovetail, on the drawers, which is an interlocking joint which is resistant, looks attractive and will hold together under pressure. 6. We use “chrome” handles & hanging rails on this range, which is an easy to clean, shiny, durable, modern handle/hanging rail. 7. 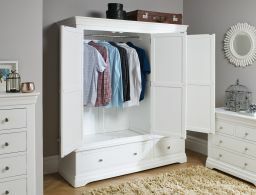 Provided with 2 large shelves for the right-hand side of the wardrobe. 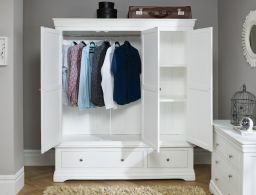 Overall Dimensions – The wardrobe is 172.5cm wide, 59.5cm deep and 192.5cm tall.